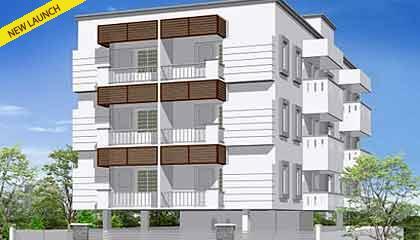 Park View, developed by Abhinaya Swarna Builders, on 8th Street Kamakoti Nagar,Pallikaranai includes spacious 2 BHK apartments of sizes ranging from 1220-1280 square feet. It is located in Pallikaranai, now considered one of Chennai�s prime suburbs. It is a fast developing suburb which is expected to join in with the Chennai Metropolitan soon. This area provides excellent connectivity with the IT corridor which includes offices like HCL, Wipro, TCS, Infosys, etc. It is also well connected by road to south Tamil Nadu via Tambaram (10 km from Pallikaranai).